Big Brother Naija finalist, Lolu has just launched a Vlog - Chronicles of Lolu. Lolu made the announcement via a post on his Twitter timeline. According to the former BBNaija housemate, the Vlog is aimed at sharing his thoughts and opinions on social and personal issues. “#ChroniclesOfLolu was conceived as a result positive feedback on my diary sessions during my time in the BBNaija house. It is directed at sharing my thoughts and opinions on social, personal issues & entertainment to mention a select few. “#ChroniclesOfLolu Those memorable times have given me the platform to birth this. I am truly thankful. #ChroniclesOfLolu was conceived as a result positive feedback on my diary sessions during my time in the BBNaija house. As we're witnessing the launch of #ChroniclesOfLolu , let me use this opportunity to reintroduce my business #NaaTheProofer @Naa_The_Proofer and unveil our official logo. Anto and Lolu speak to Pulse about the possibility of their relationship having a future after the Big Brother Naija show. 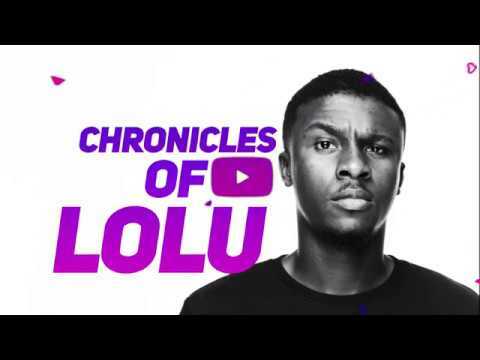 “#ChroniclesOfLolu will have 12 episodes in its first season, produced in collaboration with #LoluForce Media Cluster and directed by Alte studios. This will be shared on a dedicated Youtube channel every Thursday evening. “#ChroniclesOfLolu will aim to answer questions on social media from #LoluForce and everyone else. It’s purpose will be to educate, inspire and motivate. If you sent questions in - you just might have answers to them soon!